Find Lebanon, IN Homes for sale. View Photos, Maps and MLS Data Now! This quiet setting on a paved road is sure to relax you after a long day at work. MLS#21635435. 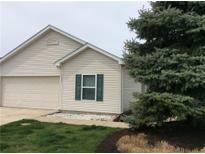 RCA Realty, Inc..
Country Club Park - Located minutes from Indy, Lafayette, Carmel and Brownsburg, MLS#21635199. F.C. Tucker Company. Better pricing than the builder can offer and no waiting around on the construction process. Make this home yours today! MLS#21633736. F.C. Tucker Company. 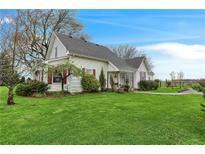 Off the Master, you have a cozy sitting room!There is an office as well but is so versatile!Dream big with this lovely country home!All appliances are included,washer/dryer as well!Please see agent remarks for additional information! MLS#21633440. Keller Williams Indpls Metro N.
Rolling Meadows - It is in need of some clean up and very minor work. This is being sold As-Is. MLS#21634979. Nest Real Estate. Largest single lot in Auburn Meadows! MLS#21634840. Traditions Realty, LLC. Fairview - Great Back and side yard as well as large deck. Detached garage. MLS#21632948. RE/MAX Ability Plus. 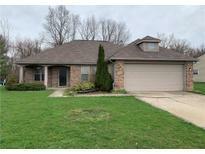 Clear Vista - All new flooring and paint makes this home ready for the new owner. MLS#21629769. RE/MAX Ability Plus. 2 Minutes from I-65 and State Road 47 for Easy access to Lafayette & Indianapolis & 3 Minutes to Lebanon/Shopping MLS#21630978. RE/MAX Ability Plus. Edgewood - New Master suite that will not disappoint! MLS#21631455. RE/MAX Ability Plus. Enjoy country life but still be conveniently close to all the amenities in town and the interstate! MLS#21630682. Carpenter, REALTORS®. Plus the location is perfect...only 10 mins to Whitestown, Brownsburg, or Lebanon. MLS#21630968. Hardin Realty Group. Second unit is 1 bedroom with living room, and kitchen. MLS#21631085. Richardson Realty Company, LLC. Hickory Meadows - This Is Ready To Move Into And Is A Must See For This Season. MLS#21630867. Berkshire Hathaway Home. Check out this amazing property in Lebanon area, with 3 bedrooms, 1 bath, open front porch, large fenced backyard - perfect for outside entertaining. Perfect home for your family!! ! MLS#21630803. Red Bridge Real Estate. Geothermal Heat And Low Expenses. Do Not Miss This Beauty. MLS#21630310. Batts Real Estate Group. Hickory Meadows - MLS#21629025. RE/MAX Ability Plus. With its original charm and modern updates, this home is a MUST SEE! 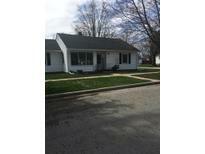 MLS#21629764. Batts Real Estate Group. Chadwick Village - You will love the fireplace in the family or the large bonus room upstairs with beautiful wood beams! ! MLS#21628748. RE/MAX Ability Plus. Clear Vista - This well maintained home has an Energy Shield Thermal insulation system that helps keep utilities down. MLS#21629312. RE/MAX Ability Plus. Electric will need to be repaired to city code. MLS#21627648. Homeland Real Est. Connections. Seller is offering a 1 year home warranty through RWS. 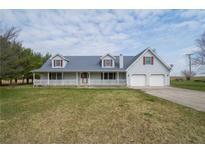 MLS#21628750. RE/MAX Ability Plus. MLS#21628674. F.C. Tucker West Central. Golfside - Great outdoor living space completes this beauty! MLS#21628019. RE/MAX Ability Plus. No Water Fees, No sewer charges and Low taxes! NO HOA. MLS#21628340. RE/MAX Ability Plus.